This side of Mt. Rainier gets more sun, perfect for summer exploring. Many of Mt. Rainier’s Top 10 trails are found on the Sunrise side. Hike from Sunrise and feel like you can reach out and touch the summit. There’s no way to see this side of Mt. Rainier in a day. Get to know the Sunrise side of Mount Rainier. Experience Mt. Rainier’s most panoramic views. At 6400’ Sunrise is the highest point to which you can drive while visiting Mt. Rainier National Park, giving you the most panoramic views. Plus we’re on Mt. Rainier’s sunny side, perfect for your summer and fall exploring. Spend the night, a weekend or more. There are Mt. 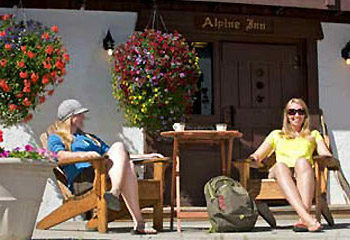 Rainier Lodging options for every budget. Choose from hotels, condominiums and suites, or even a romantic honeymoon cabin for 2. To view more information about Mt. Rainier Lodging here, click here. Explore our Mt Rainier website, then plan your Mt. Rainier vacation and learn why Mt. 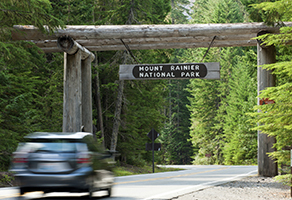 Rainier National Park is one of the most popular Washington State vacation destinations. Planning a winter vacation? Visit our sister website StayCrystal.com for more information. Mt. Rainier Lodging – Come for the night, stay for the weekend, or plan your entire vacation right here at Crystal Mountain.